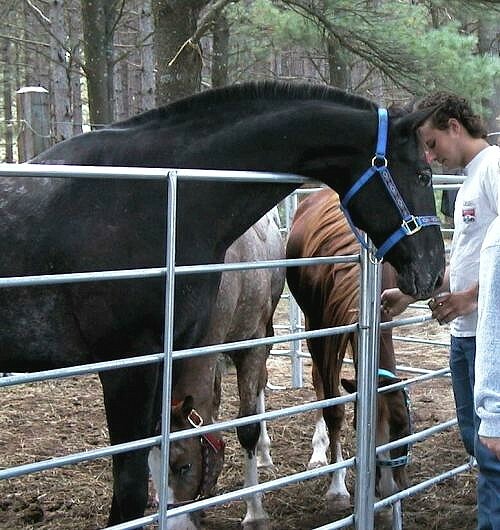 He is the horse that started it all. Jack was my primary riding horse. I bought him from a horse dealer when he was about eight years old. He was a 16 hand big tall handsome athlete. When I bought him he was pretty green. After three years of work and one broken arm he finally knew his stuff. We had it together. I could ride him anywhere. He died in November of complications, after being exposed to Strangles and given the intranasal vaccine. 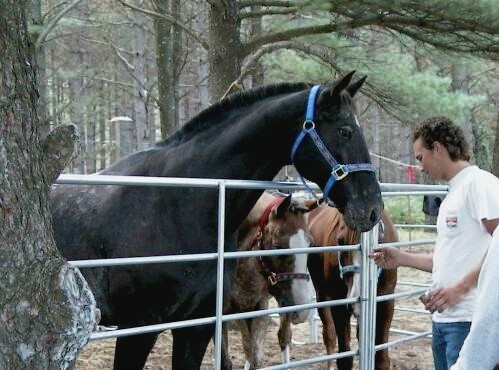 After Jack died I was determined to find another horse of his size, ability and quality. I searched for months looking at hundreds of Appaloosa websites. No Luck. Most of the horses that I saw were of heavy halter line breeding. I was not impressed. To me, they looked like bull dogs, with feet and bones to small for that big square body. I decided to Design my own horse. The only horses that met my criteria were the Wap Spot 2 lines in Pennsylvania and I eventually purchased a filly with these lines. 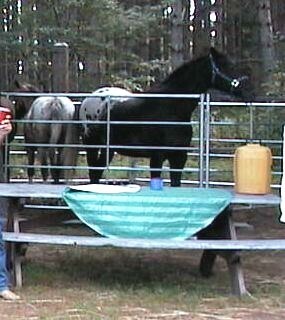 Then one day I found a horse on the Appaloosa Sport Horse Association website. 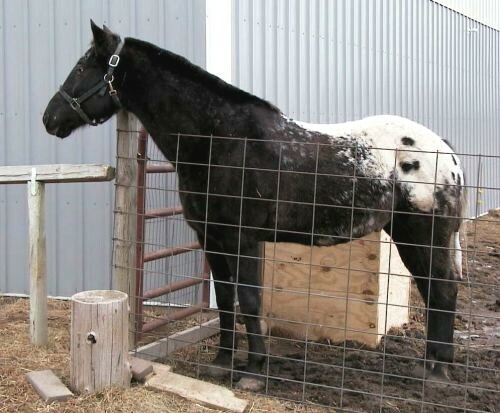 I had finally found what I was looking for a horse with some size, bone, feet and brains and wonderful temperament. Grand Design.